We are looking for one person to take 10 games of a full season ticket package Very good seats - between home and third under cover - you make the call at all the bases. Final price will be actual season ticket discounted face value of tickets chosen at the draft. Are you looking for partners? Im very interested. Hi, are the 10 games still available? If so, approximately where and when is the draft held, and is payment due after the draft? When making an offer, the site wants me to choose a payment date, so I just wanted to check before filling out the form. I am very interested. Thank you! We have one person interested (ahead of you in line) but payment is due as soon as the partner is accepted. The draft will be some time in March - after the tickets are printed and received and at a mutually acceptable date for he partners. 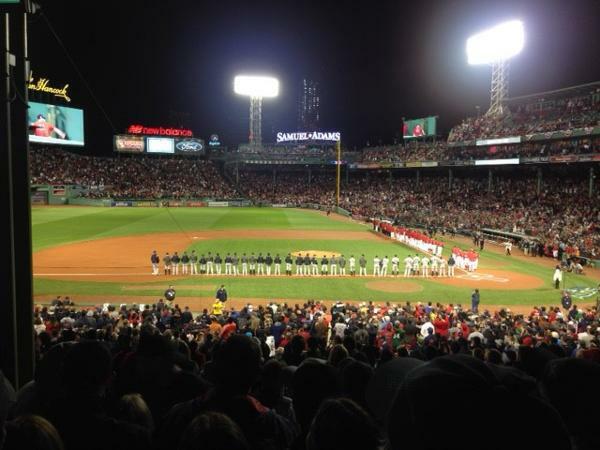 After games are selected, payment is adjusted to the actual cost of tickets and proportional share of Red Sox service charge. Hi there my name is Kevin, I’m interested in the 10 games. Is the price actually at $62 a game or are you offering 10 games at face value? Also being honest, can you tell me how these ticket resell? I love the sox and would go to a few games, but I am a young man mainly looking at this as an investment for ticket resale. Thanks I look forward to hearing back from you! Hello. I'm interested in at least a quarter, if not more games, if they are available. Please let me know how you'd be handling the selection of games. Thanks! We have a fair and equitable rotational draft. Hi, would you be open to selling a half or maybe the entire season? At this time we are looking for a 1/4 shareholder. That may change.